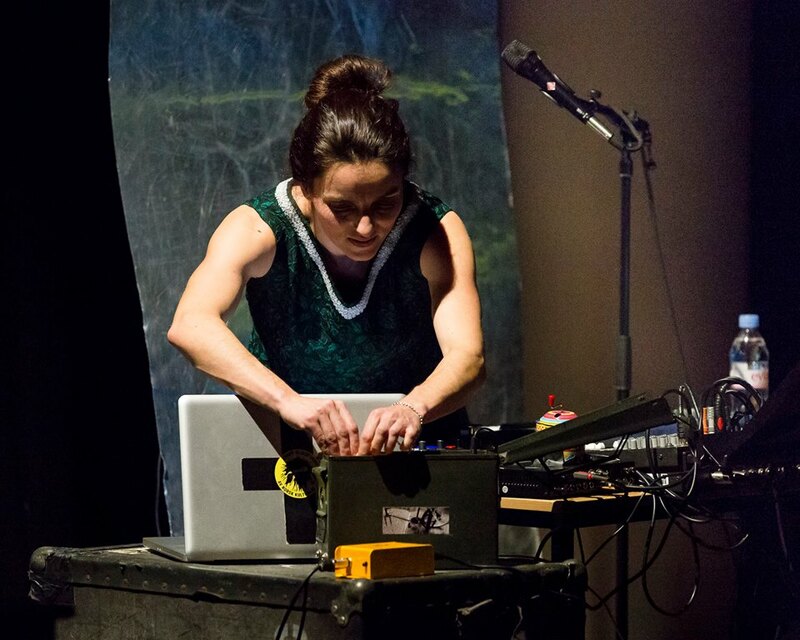 Ratkje epitomisess the modern Norwegian musical mindset: there are no categories and no limits in her music, and yet there is also extraordinary focus and character. Yes, she is called a vocalist because the sounds she makes are generated by her vocal cords. But, as with all the musicians working in this field, and all the musicians performing on this rainy night in this Digbeth venue, the initial sound creator is a very small part of the process. 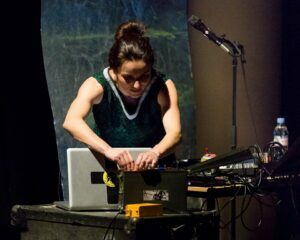 Using a conventional microphone, but also what appeared to be a tiny one which she would put into her mouth, Ratkje created a whole electronic orchestra of notes and noises, given even greater effect by the surround sound in the auditorium. It was a real ear-opener. This entry was posted in Blog, Solo concerts. Bookmark the permalink.